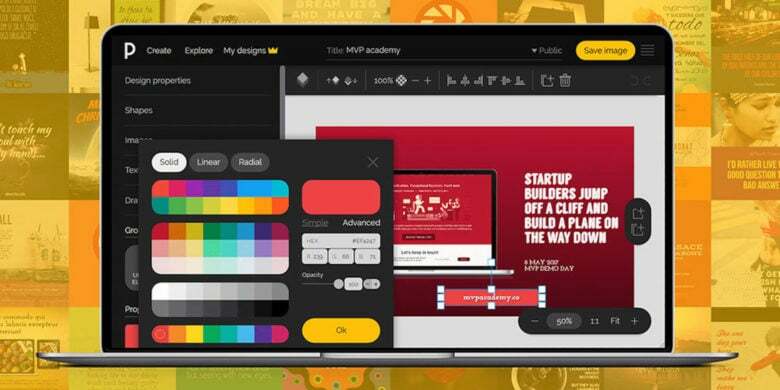 This graphic design app offers all the tools you need at a super low price. Get all the graphic design tools you need, without breaking the bank. There are plenty of times when you’ll want graphic design tools. Maybe you’re designing a post for social media, or a flier for a show. Or perhaps you’re building a website or just touching up your resume. With these types of tasks, having good graphic design software is useful. But that doesn’t mean you should shell out a hefty monthly fee. PixTeller Pro offers the ability to create and customize images without busting your budget. It comes with 74,000 premade designs, 1.5 million photos and 100,000 shapes, along with a massive library of fonts and gradients. Other tools like the clipping-crop function make images look great at any size. Whether you need to slap some text on a picture for a quick Facebook post, or need to build high-quality visuals for the web, you can do it with PixTeller Pro — for less than you’d pay almost anywhere else. Buy now: Get a lifetime of PixTeller Pro for $34.99. That’s a massive 91 percent discount.